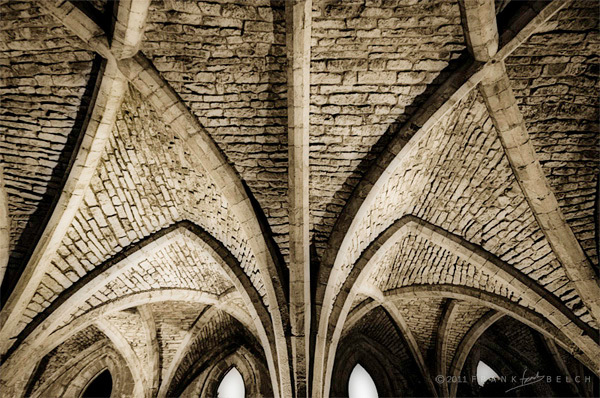 This is the vaulted ceiling in the Cellarium at Fountains Abbey, North Yorkshire. Founded in 1132 this Cistercian Abbey and estate is a World Hertitage Site. Intricate stonework in the Cellarium.